Welcome to our Blog! We hope you have enjoyed the Blog Hop so far! Today we would like to share with you about how we “Fell Back in Love” with Parent Teacher Conferences. We know what you’re thinking, “They’re kidding right? Is it possible to LOVE Parent Teacher Conferences?” We’re here to tell you that it IS possible, and we’ll show you how! Third grade is a big transition year. We expect third graders to start taking responsibility for their own learning. What better way to accomplish that then to have students lead the conference themselves? We started using student led conferences a few years ago as a way to encourage our students to set their own goals and to be held accountable for the work they have already done. When we first started doing student led conferences, it was a typical Parent Teacher Conference, but we just had the student in attendance. We wanted students to know what we told their parents (you know they all ask anyways) and why should it be such a big secret? We believe that students need to be involved, invested, and included in assessing their academic and behavioral performance. Eventually we decided that the students needed to play a larger role in the conference. We felt it was important for them to have a voice and be the ones delivering the information about their performance to their parents. We also wanted to make them feel special and to create a stage for them to be the star of the show. From this desire our Superstar Student Led Conference was born. A few weeks before conferences we have our students begin to build their portfolios. They complete reflection sheets and gather work to show to their parents. Then we work to turn the conference into a special event. We send out invitations to the parents, create a red carpet, and have the students make a Hollywood Walk of Fame with signs that say, “I’m a superstar because…”. The last few days leading up to the conferences, we model how the students will share the information with their parents. We stress how important it is to take their time, make eye contact, and speak clearly. We even discuss the importance of dressing professionally for an important presentation and we encourage the students to dress nicely on conference night. Finally, we have them practice with partners until they feel confident. When the night arrives, we make sure to take a picture of the parent with their child on the red carpet. After all of the conferences are over, the students write a thank you card to their “adoring fans” :) with the picture included. It really is amazing to watch the parents beam with pride and love watching their child be so grown-up and responsible. The parents love hearing from their own child how school is going, what they’re good at, and in what areas they need to improve. As teachers, we love that the focus of the conference is no longer on us and it has shifted to the students (where it should be!). Students love to be the center of attention, especially those students who might not normally hear positive affirmations about their hard work. It might surprise you to hear that the students are actually very truthful and knowledgeable about their strengths and areas in which they need to grow. Time and time again we sit in these conferences and agree with most if not all of what the student says. Of course, we do still reserve the right to add our own opinions and comments if necessary for those students that require a little extra guidance (you know the ones!). Most of all, we love that this creates an experience that many students and parents have never had before. It’s our hope that this is a meaningful, fun and memorable time for all involved. Best of all, we LOVE conferences again! Are you ready to love your Parent Teacher Conferences as much as we do? 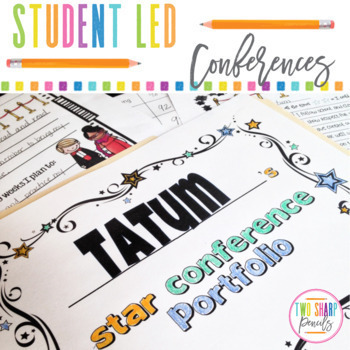 Enter our rafflecopter for your chance to win our Superstar Student Led Conference pack for FREE!!! It has everything you need to run your own red carpet event: all of the student self-evaluation and grade recording forms, goal setting pages, student walk of fame templates, pictures and our best tips to running successful student led conferences. Click on the picture below to learn more! 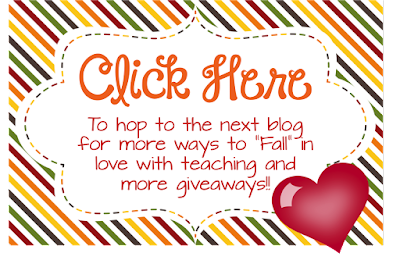 We also have a grand prize rafflecopter for the gift certificates to Teachers Pay Teachers (yay!). Two lucky blog hoppers will win! Thanks for stopping by! We hope that we have inspired and encouraged you today!